With Venus and Chiron coming together in your solar eighth house, dear Virgo, the chance to really dig deep and get to the heart of a relationship or private matter can arise. It's a time for emotional repair, healing, and deep understanding. It's also a fine time for discovering what or who you value and for such things as research and analysis with an extra dose of intuition working on your side. Emotional honesty is important now, and fortunately, it comes more easily than usual. You are courageous but also very sensitive in the face of new discoveries, even if they seem to touch on a soft spot. In fact, you may be going right for that soft spot since the desire to repair is strong. Another influence today is excellent for putting your talents and skills to beneficial use. Great energy for strategy, planning, seeing patterns, and developing methods is with you, particularly related to work, business, and finances. *More Cafe Astrology horoscopes below. 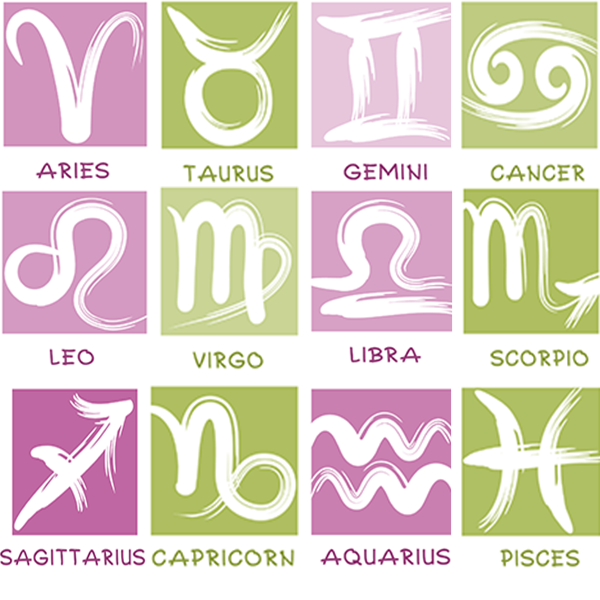 Learn more about the new format of this daily horoscope page here. 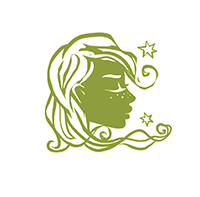 March 2019 Virgo Monthly Horoscope Summary: A major focus this month is your relationships, dear Virgo, and it's an important one with a high emphasis on your partnership sector in March. Sorting out problems and enjoying special moments with people in your life are satisfying activities in their own right, but can positively impact many different life departments as well. Mercury is retrograde in this same area of your solar chart from the 5-28, so it's not without its complications, but it's a strong time for gaining some perspective and getting your life into better balance. You're exploring your feelings and attitudes about partnering, connecting, and mediating, and the New Moon on the 6th tends to get the ball rolling. However, because this lunation occurs just at the time of Mercury's station and since it's aligned with Neptune, you're unlikely to feel as if things are moving forward just yet. Instead, you're doing some redefining of relationships and relationship needs. A big headline this month is the movement of Uranus into your solar ninth house. It's true this first happened last May, but due to its retrograde motion, Uranus retreated from this sector in November. Now that it's back for the long haul, you'll be exploring some exciting and powerful themes. Most important to mention is that Uranus is now in a supportive angle to your sign, and this will continue for another seven years. There's a lot more to the unfolding story, but you're likely to feel some of its themes this month. The way you view the world or how you experience the meaning of life is changing. There will be times when this feels disruptive as it can leave you feeling as if you're spinning your wheels, especially if your desire to explore the world beyond your usual daily routines is intense, but a plan of action to do so isn't in place. You might become restless with specific routines and habits, particularly related to learning and communications. However, overall, this transit encourages you to express yourself more spontaneously and authentically as you discover and embrace your more unique qualities. You may be opening up to new belief systems, traveling, or enjoying other adventure-seeking and mind-expanding activities. The desire to take a new course or to travel or move can come up suddenly as you hunger for new experiences. You may experience a spiritual awakening of sorts and a call to see the world, or perhaps even to save it! Learning needs to be exciting or cutting-edge to keep your interest now. Life experiences are unpredictable and exciting, but especially while you have Saturn also in supportive aspect to your sign (until 2020), you'll get the chance to dip your toe in the water first before fully embracing change. The Sun's move into house eight in your solar chart on the 20th brings on a need for more depth from your relationships and activities. On the same day, a Full Moon happens in your resources sector, and money matters assume big proportions. Energies at this time can bring revelations and possible conflicts to the foreground. There can be a tug of war going on, whether it's going on within or with someone, over money, possessions, and matters of control. Whatever emerges at this time can prompt a necessary change. The desire to keep things peaceful and humming along smoothly with your routines is strong, but another part of you is hungry for stimulation elsewhere. Restlessness is the result, and this can lead to impatience, but it doesn't have to go there if you tackle the root of the problem. Despite Mercury's retrograde from the 5-28, you're in a reasonably good position to be heard and understood this month, even if it means rehashing old issues. It's also a beautiful time for applying yourself to projects that excite you, as well as for connecting with others, sharing ideas, and action-oriented conversations, particularly around the 12-19. Shared activities can thrive, and you can be more courageous to express yourself, share your talents or work, or reach out to a new audience. You're likely to make serious progress on passion projects or studies. You can come into a resource that helps you work through a problem area or reach your goals. You can move mountains and meet with greater success if you make sure that others see your confidence or recognize your commitment and passion. Doing something different or non-routine with others can be rewarding now, or you could very well discover that your solo pursuits are so satisfying that you come back to a relationship more refreshed, confident, and well-balanced. Self-discipline increases when you're motivated, of course, and you're likely to feel especially enthusiastic now, leading to strong efforts at honing a skill, perfecting a craft, or pursuing a heartfelt project or venture. The 26th brings Venus into your partnership sector -- a happy placement that boosts your social life for several weeks -- and just two days later, Mercury ends its retrograde in the same area of your solar chart. These improvements come at a great time, just as Mars is about to reach the top of your solar chart, firing up your ambitions. You'll appreciate that your relationships are smooth sailing so that you can pursue your worldly or career goals more confidently. The year ahead is both stimulating and stabilizing, dear Virgo. While Neptune continues to oppose your sign this year, suggesting some lack of direction, you have several outer planets in supportive aspect, including ambitious Pluto, steady and practical Saturn, and exciting Uranus. Chiron leaves its challenging aspect to your sign this year, too, and while it doesn’t flow along with you, there is less pressure on you to find yourself through your relationships. This takes some of the pressure off relationships themselves, although you might continue to hold some high expectations of them. You’re in a fabulous position to hone a creative talent or skill and to explore new and exciting topics or lines of study. You’re also discovering new ways of expressing yourself that feel right. Until December, you’re in a terrific position to improve your home and family life. This can be about moving or upgrading your living conditions and arrangements, or simply finding more pleasure and joy in your domestic world. You are less inclined to want to move about beyond your own familiar environment, taking comfort in and deriving pleasure from being somewhat of a homebody. Mind you, Uranus moves into your adventure sector from March forward, and this can excite your senses, stimulating interest in enjoying some new adventures, whether on the physical or mental plane (or both). You’re opening your mind to new ideas and concepts, and opening your heart to new experiences and ways of approaching your life with this long-term transit that supports your efforts to make small, meaningful changes. It’s a robust period for sharing your ideas, travel, publishing, higher education, and alternative beliefs. While there has been a lot of (and very necessary) attention to your personal life, a romance, or creative endeavors again this year, the eclipses and the North Node of the Moon’s transit encourages you to reach out to others, include them in your plans, gain support from friends and give back to them, a group, or the community. It’s a time for gaining more perspective and balance. Neptune continues to transit your partnership sector, and since it’s such a long-term transit, it continues to be a time of trial and error as you explore your expectations of others and wrestle with some tendency to project your ideals on others. This year, you’re less likely to allow your relationship goals interfere with your seeking of fulfillment in other areas of life. Let relationship goals inspire you to better yourself for best results – you get support for this as Saturn and Neptune form a harmonious aspect most of the year. The year is potentially brilliant for your creativity. You’re exploring new ways of expressing yourself and your self-confidence improves as you pull out of yourself and greet the world with more positivity. Your desire is to make a mark. At the same time, you may be embracing the reality that you need more structure in your creative world in order to advance your skills. There is a dance involved with this – finding the right balance between structure and spontaneity is within your reach this year. The last week of August through to the end of September is a brilliant period for personal opportunities as a planetary lineup forms in your sign. Your innate flexibility and adaptability are in stronger form in 2019. More than usual, you don’t want to be told what to think, and you’re inclined to explore and experiment with new ideas and concepts. At the same time, you are expanding your inner life and domestic world, making serious improvements to your living conditions and family relationships. You are an Earth sign, dear Virgo, and Earth signs continue to receive some extra support this year with Saturn moving in harmony with your sign and Uranus transitioning towards that position as well, active from March 2019 forward. 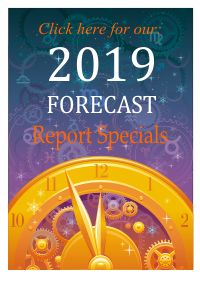 Generally speaking, this means you have increasingly less pressure on you in 2019 than you’ve had for some time, and this is set to improve further from December 2019 and into 2020. You don’t feel the need to fight to get what you want and decisions are easier. Of course, this can affect your manner and your relationships. Until December 2nd, 2019, Jupiter continues to increase your attention as well as joy and happiness levels on the home front and with family. If you use this gentle, quiet transit well, and you look very carefully for opportunities, you can better prepare yourself for the more overt opportunities of the upcoming Jupiter in Capricorn transit. Aim to feel more comfortable in your own skin. Slowly, you are building up your confidence. You may be getting settled in physical ways on the level of house and home, or connecting in more rewarding ways with your family or like-family loved ones. However, you are also more fully connecting with what you need and want on a very basic, fundamental level. The better you get in touch with yourself and your basic needs, the more natural confidence you’ll have when Jupiter enters your romance sector in December 2019 and encourages you to share your affections and creations with others all the way until December 2020. Neptune is a very long-term guest in your partnership sector and still brings its up-and-down themes to committed partnerships this year. However, Neptune harmonizes with Saturn from January to November, and this subtle but magical transit can open up romantic feelings with someone special. You can readily combine stability and commitment with magic, romance, and inspiration now. It’s a fabulous influence for your relationships. Note: Read the sections for both your Sun Sign and Ascendant for a better picture of what lies ahead for the day. For example, if you are a Virgo with a Leo Ascendant, read the forecast for both Virgo and Leo.